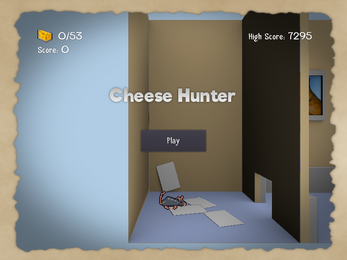 A Jump & Run games about mice that hunting cheese in someone's house. 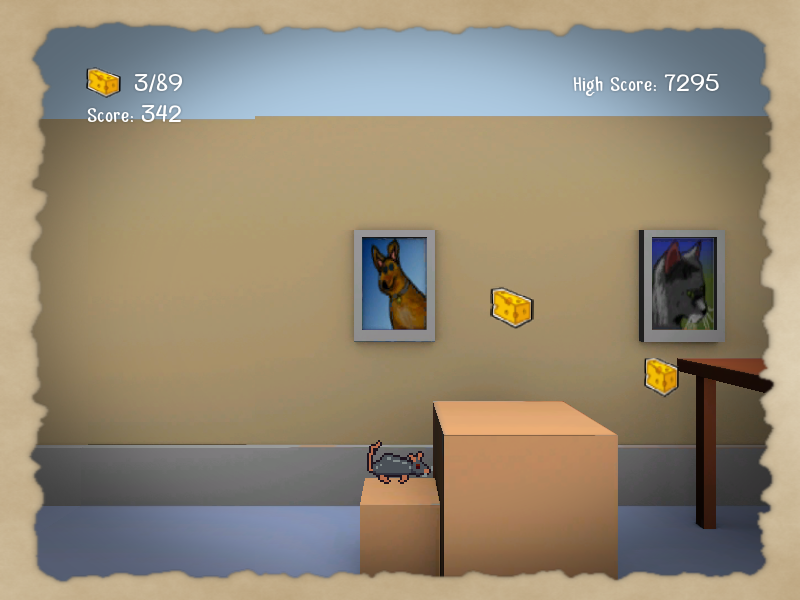 Catch the cheese & leave the cats arround. 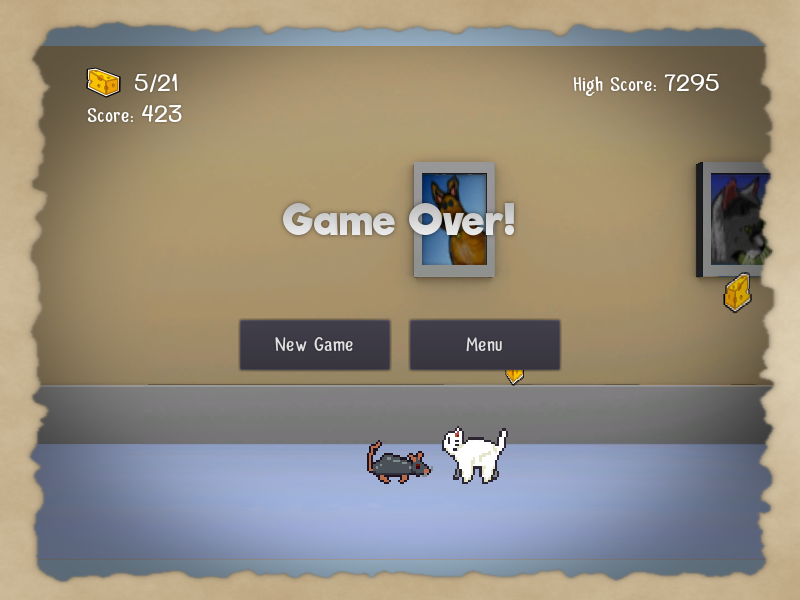 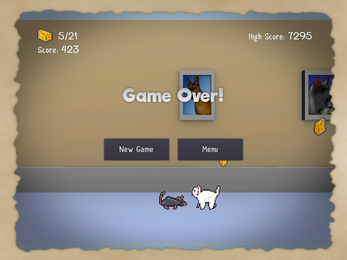 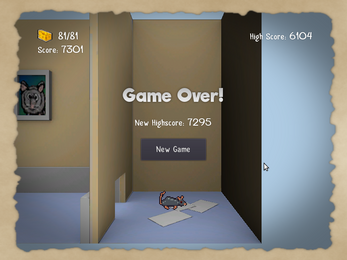 Simply move your mouse to control the mice, and press left mouse button to jump.